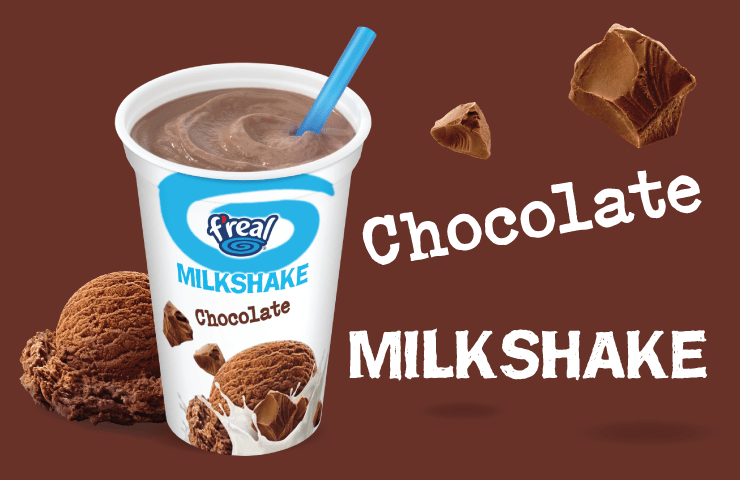 The root of all happiness is indeed the f’real chocolate milkshake. Prepare for the rich, creamy, delectable taste of real cocoa to satisfy your soul. Visualize joy. 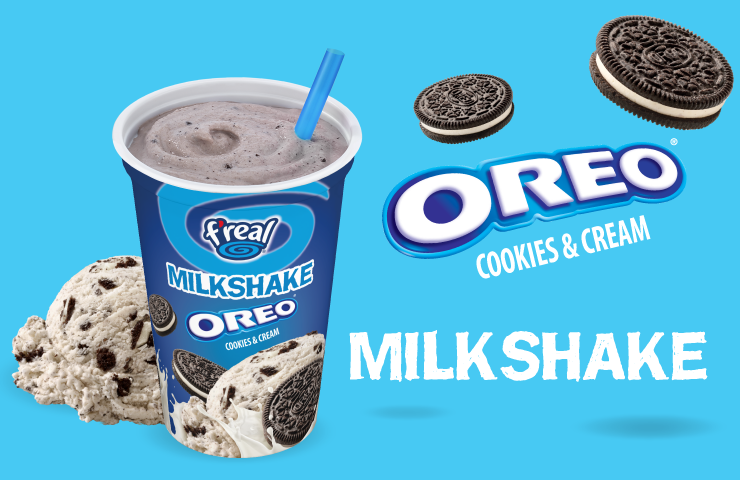 Cookies and cream: a sweet team. Real ice cream, dairy fresh milk, all mixed with crunchy chocolate sandwich cookies. It’ll rock you. Go team! 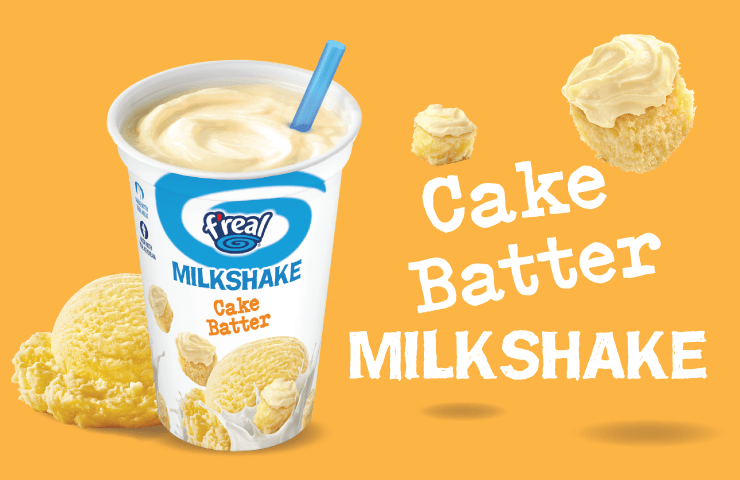 Real ice cream + dairy fresh milk + sweet vanilla = pure genius. Milkshakes are delicious - it’s mathematically proven, you know. Smart choice. 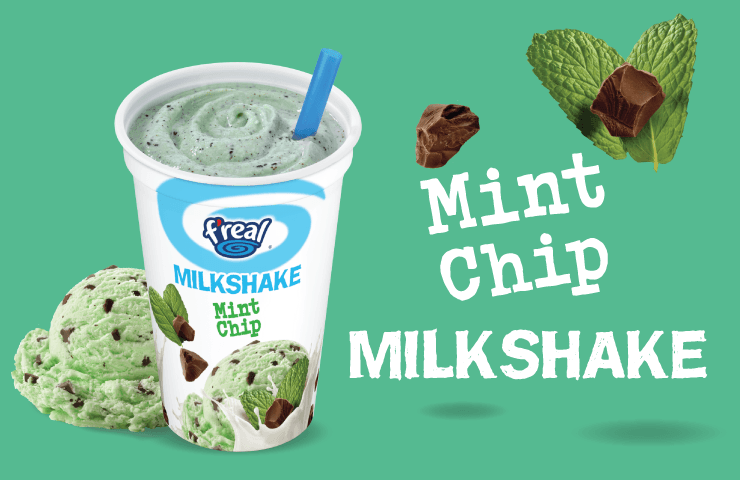 We see you’re an admirer of rare and delicious things, like this mint chip milkshake. Luckily, it’ll appreciate in value once it’s in your stomach. Wise choice. Yep, you read it right. 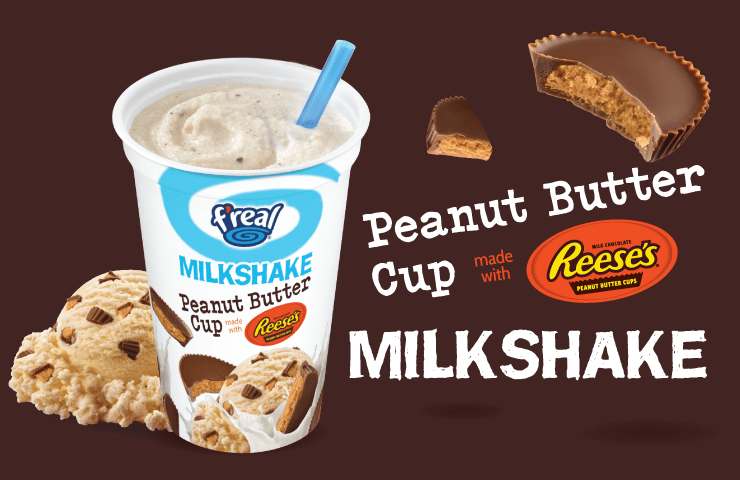 A rich, creamy, peanut butter cup milkshake made with REESE’S® Peanut Butter Cups. Peanut buttery goodness. Remember the days of sneaking a taste from the yellow cake batter bowl? Now you can have your cake and drink it too. Finger-licking fun. 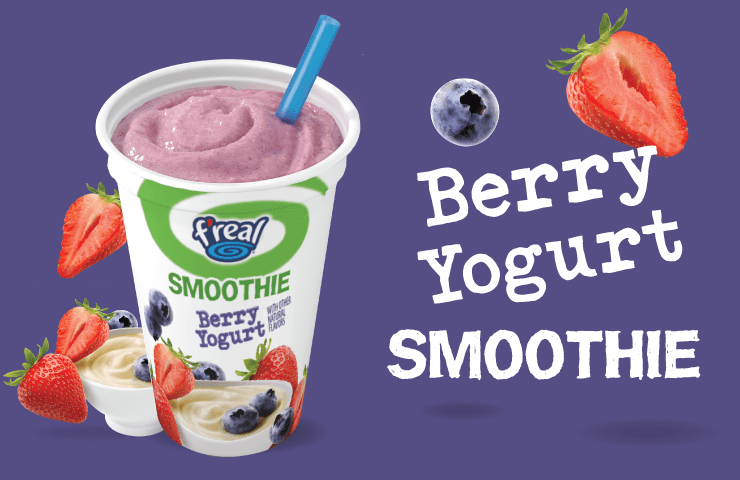 Nothing punches up the creamy goodness of yogurt better than a blast of the best berries. This smoothie is packed with so much flavor, you’ll forget there’s a ton of vitamins in there too. Which is great, because who wants to think about vitamins? 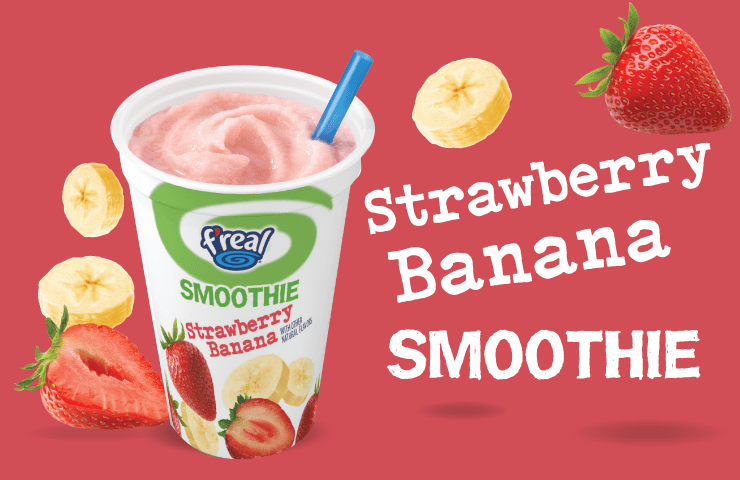 Who knew you could fit a ½ cup of strawberries and bananas, plus fiber and antioxidant Vitamins C, A, and E through a straw? Isn’t technology awesome? Up for a day at the beach or some hammock lounging? 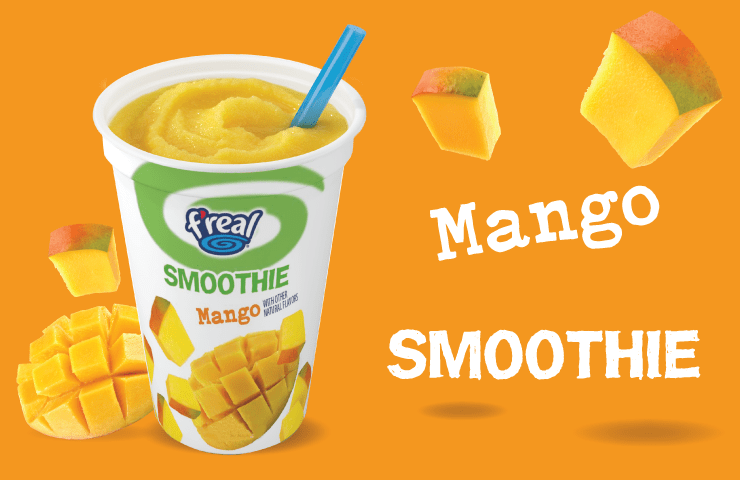 Grab your shades, you’re gonna need ‘em after you sip this creamy tropical vacation in a cup. Live la vida mango! 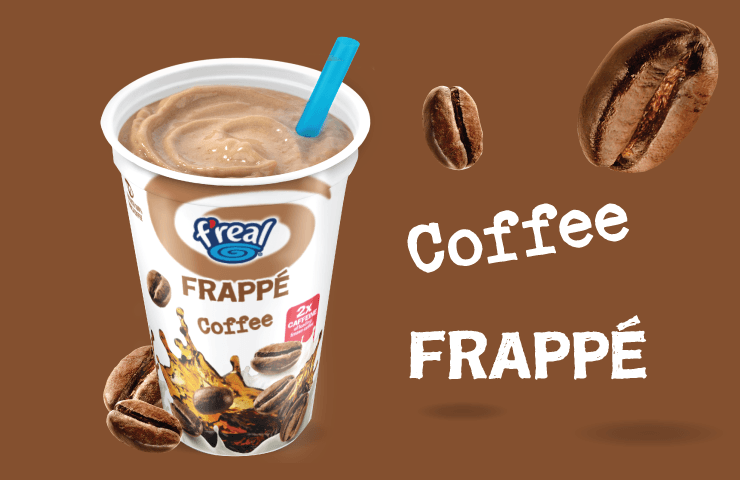 Enjoy the swirling goodness of a creamy, cool Frappé made with 100% Arabica coffee. With twice the caffeine of the leading frozen coffee, it’s a delicious pick-me-up that means no more waiting in line for a cup with your name on it. Jump on it! 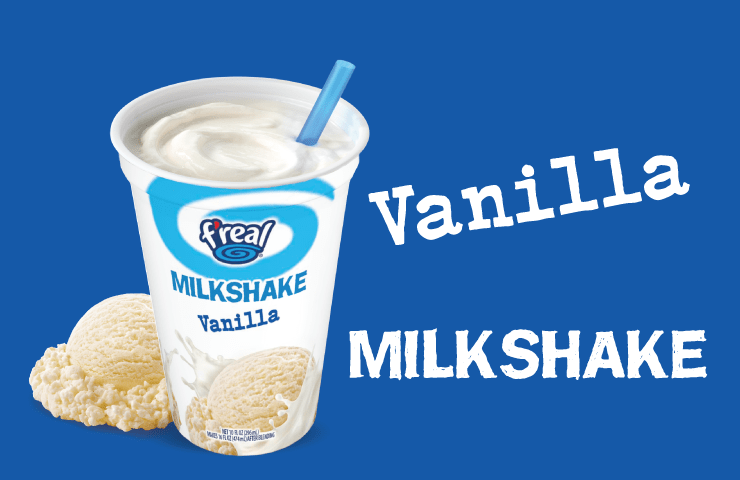 f’real is cooking up new flavors in the kitchen all the time. These flavors vary by season and are only available for a limited time. 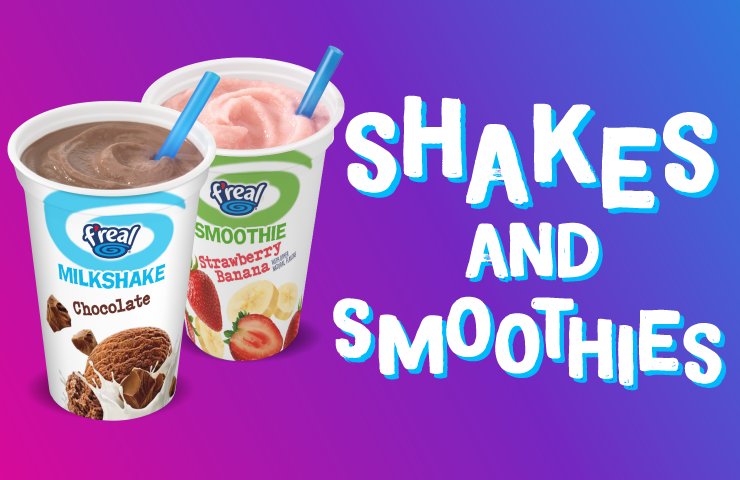 © 2017 f'real foods, LLC. All Rights Reserved.